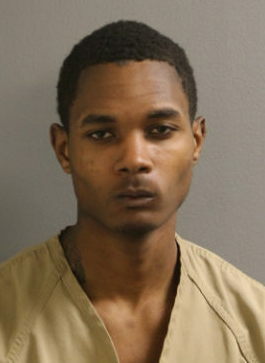 A South Side man who was charged with robbing a Loop department store with a handgun in February is now accused of battering and mugging a 61-year-old man in the Loop three days later, according to court records. Clarence Britten, 20, approached the victim near State and Jackson, punched the man in the face and mouth, implied that he had a handgun, and then took the victim’s jacket, phone, hat, and gloves at 6:20 p.m. on February 21, police said. It was about 30 degrees at the time, according to online weather records. Britten has been charged with robbery of a victim over the age of 60, aggravated robbery-indicating the presence of a firearm, aggravated battery of a victim over the age of 60, and aggravated battery in a public place. 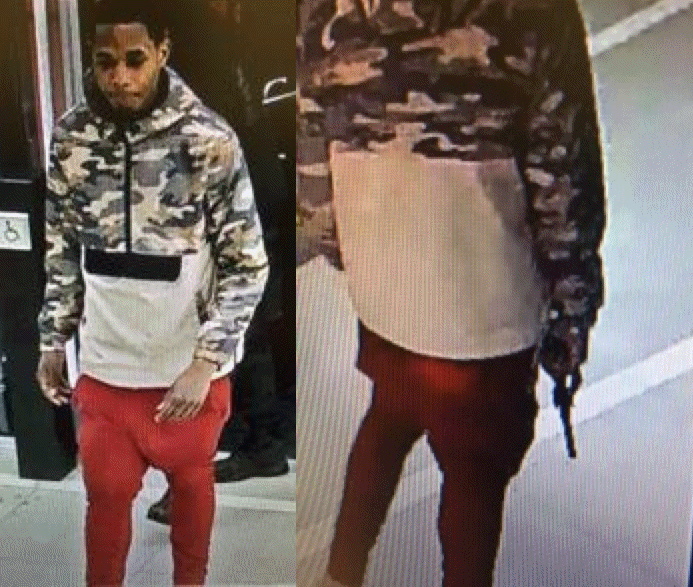 Police said the victim, who lives in Edgewater, identified Britten as the offender in a photo array several days after Britten was charged with the February 18 robbery of Saks Off Fifth at 6 South State..
Police said these images show Britten with something that looks like a handgun during the Saks Off Fifth heist. In that case, Britten allegedly pulled out a black revolver to ward off store security during a heist that earned him two pairs of sunglasses, prosecutors said. At the time of the alleged Saks robbery, Britten was on probation for a gun-related incident at a Loop Chick-fil-A. Police said surveillance video showed Britten enter the restaurant with a leather bag containing two handguns. At some point, he took one of the guns out, placed it in his waistband, and said “I’m going to hurt somebody outside,” according to prosecutors. Less than three weeks later, Britten pleaded guilty to one count of unlawful use of a weapon and received a sentence of 18 months probation from Judge Erica Reddick. Britten is currently being held without bail.